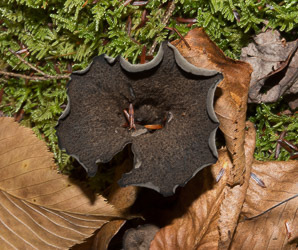 The black trumpet is a highly coveted North American native. 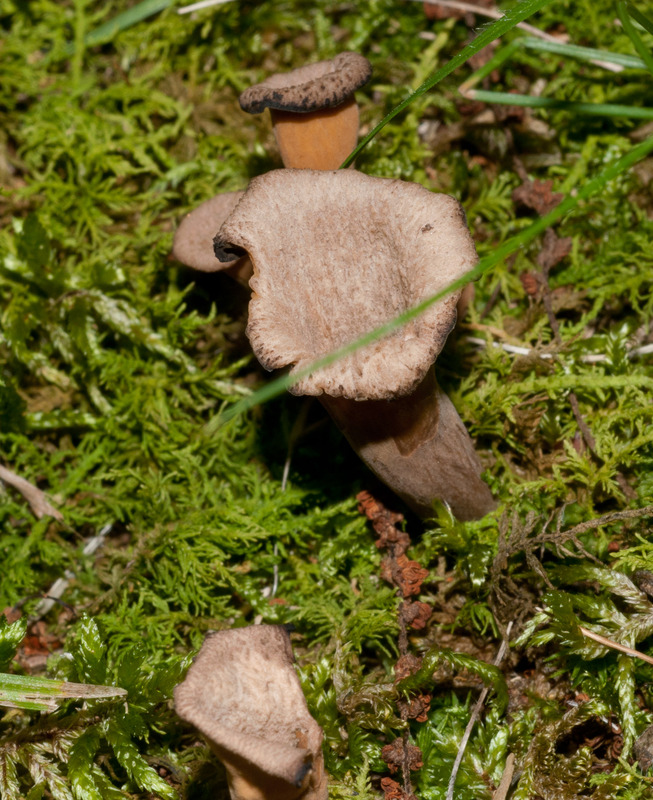 Identification: These chanterelles are 1¾-4½" (5-12 cm) tall and ⅜-1¾" (1-5 cm) wide. 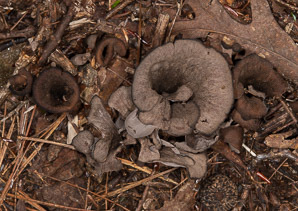 They may be dark gray, tan, dark brown, even nearly black. 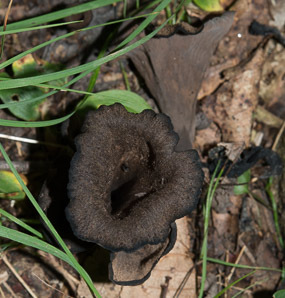 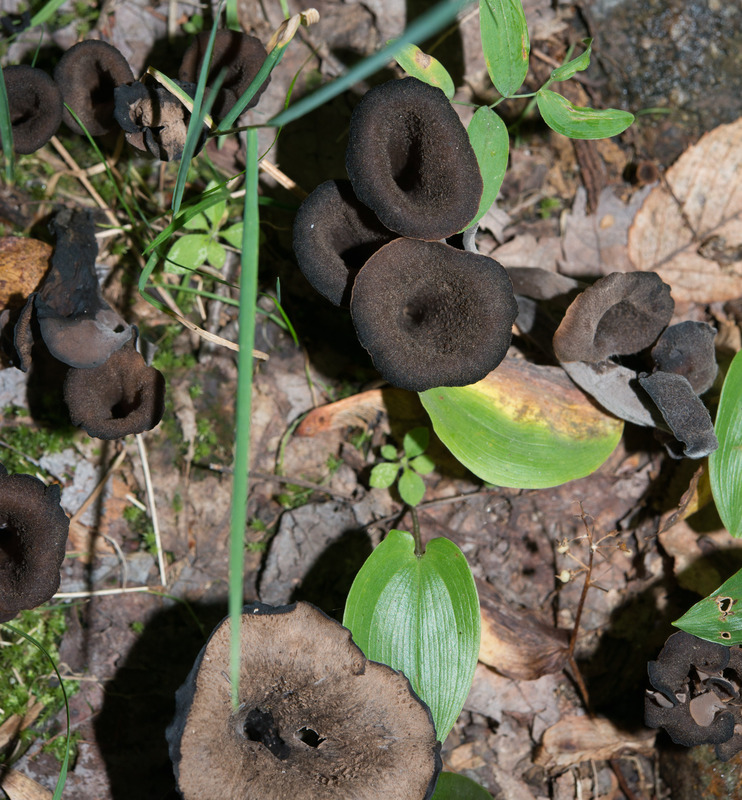 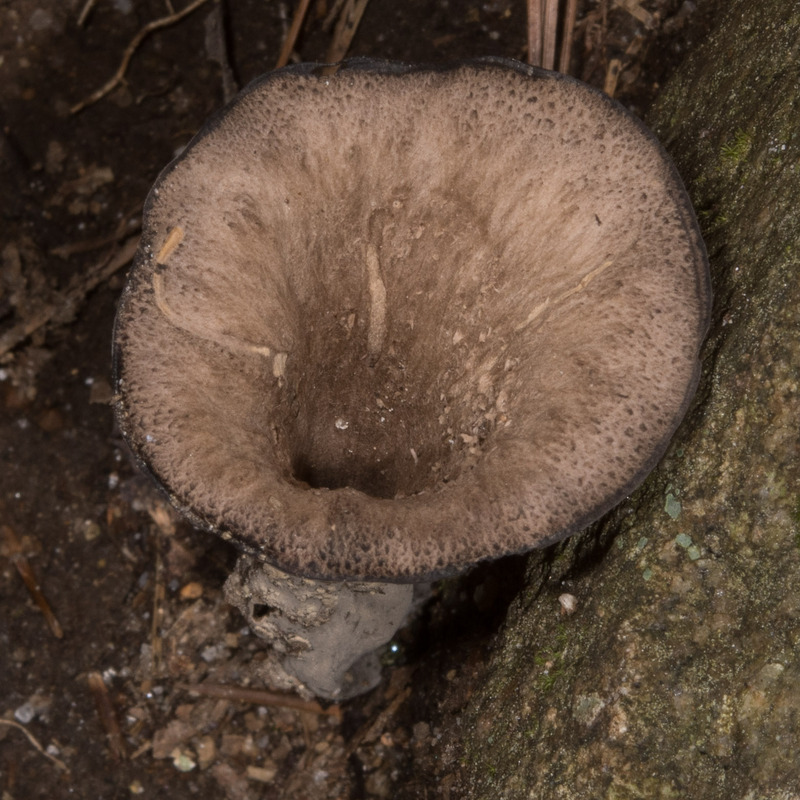 Instead of a dome-shaped cap, black trumpets have a trumpet- or funnel-shaped appearance. Gills run down the sides of the stalk, though they aren’t always visible. 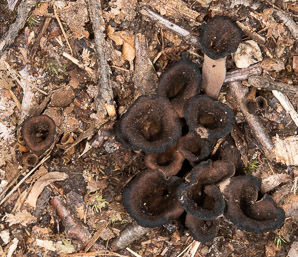 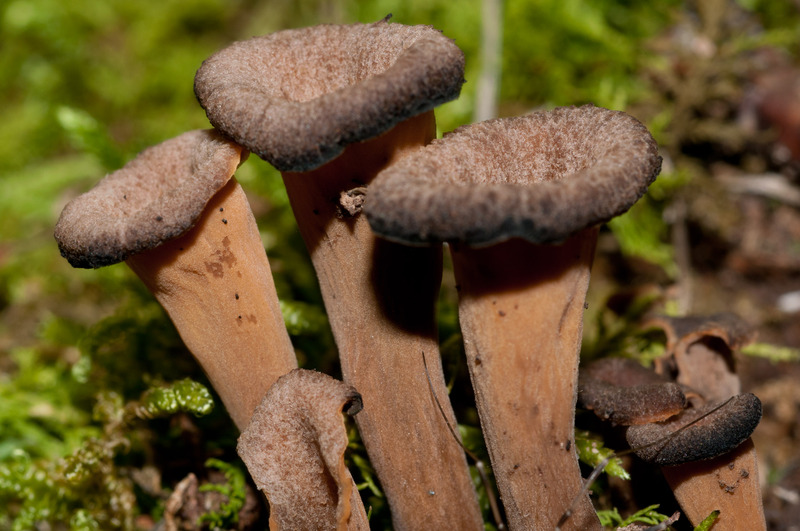 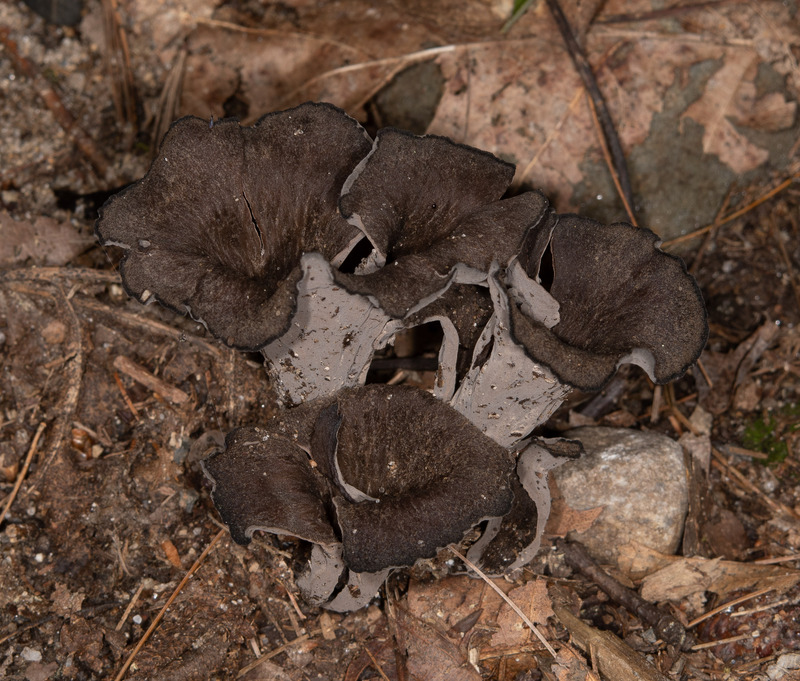 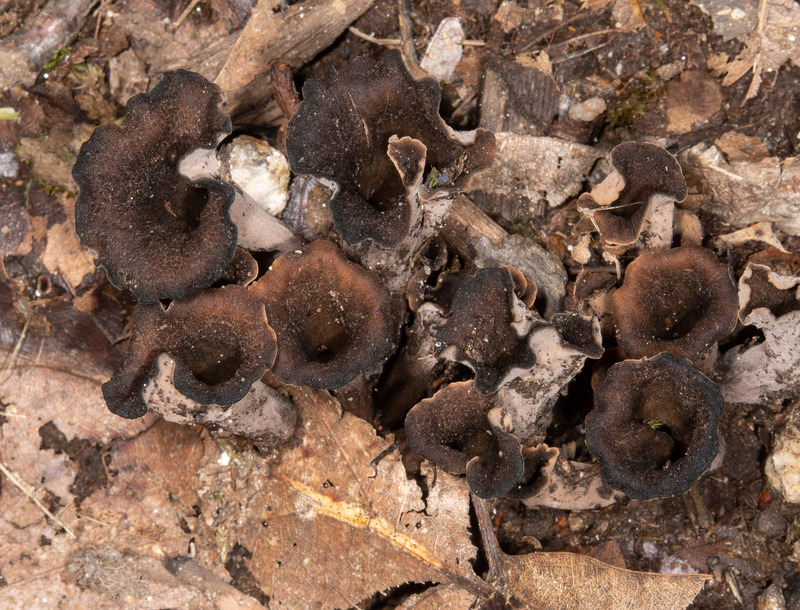 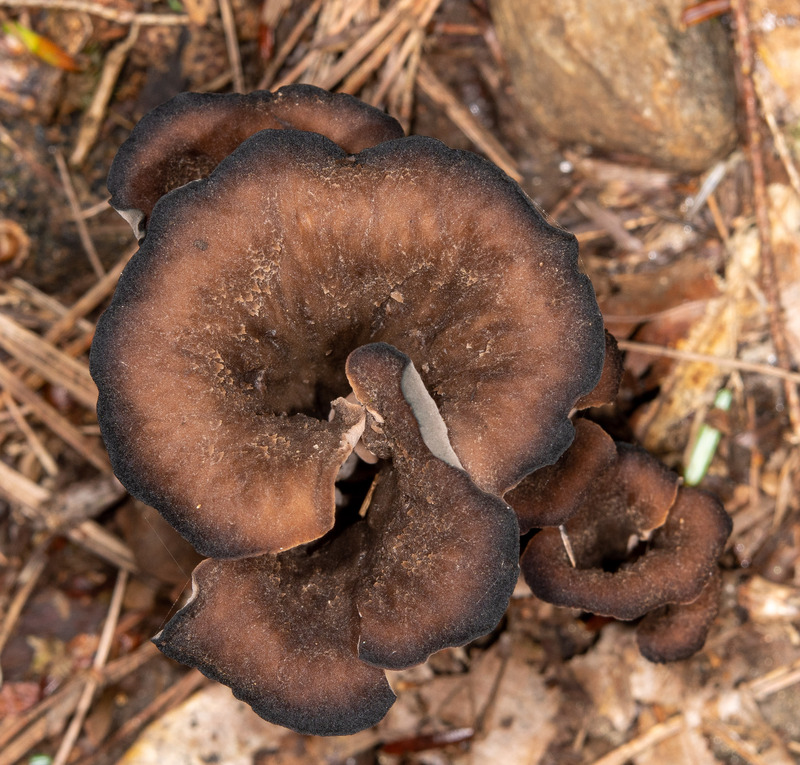 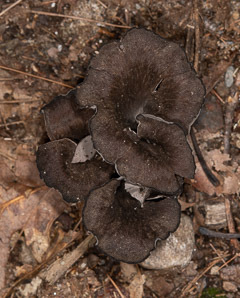 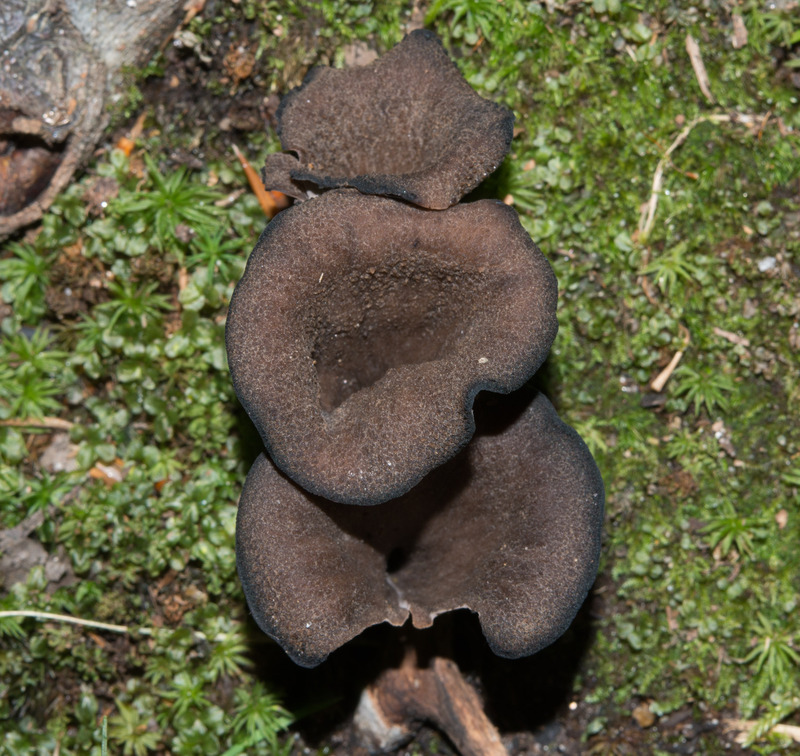 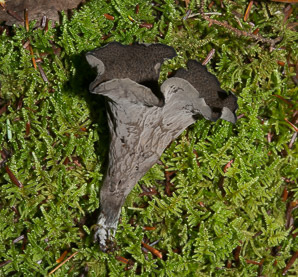 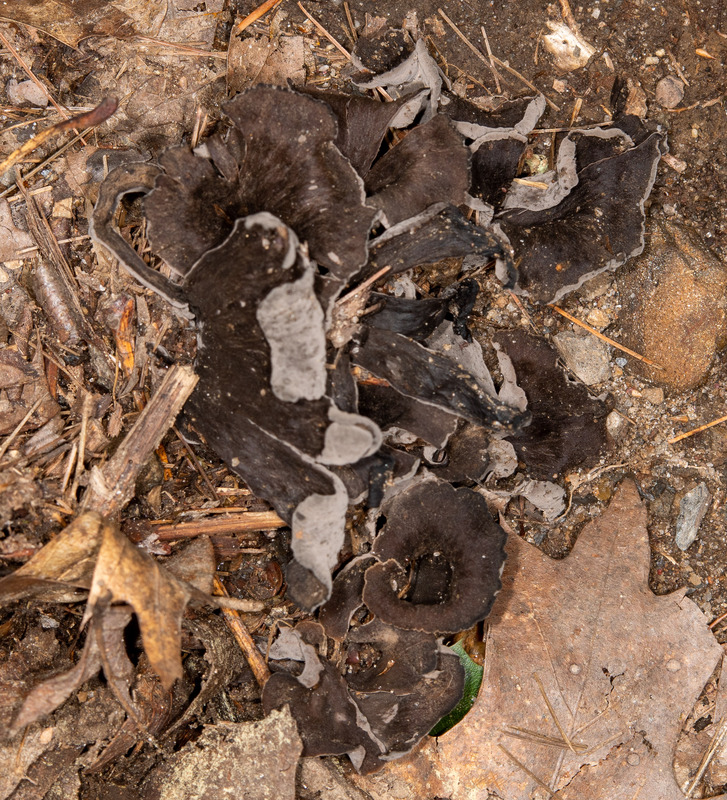 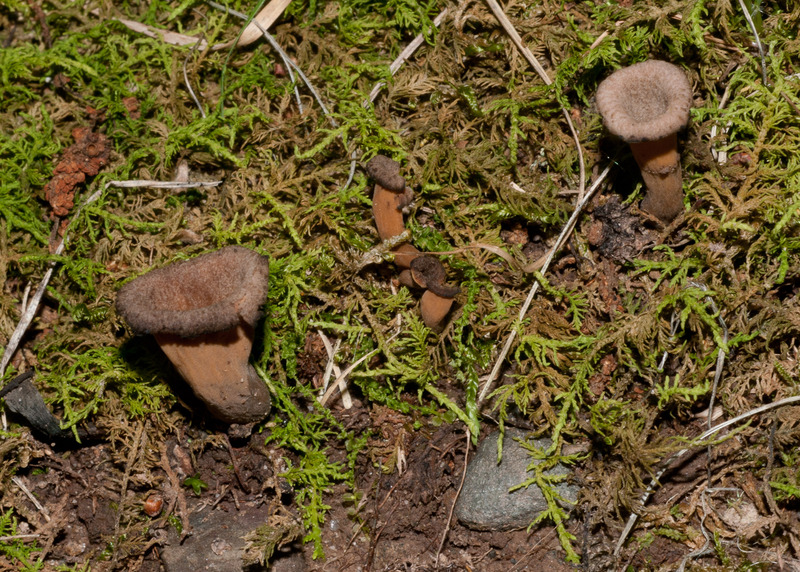 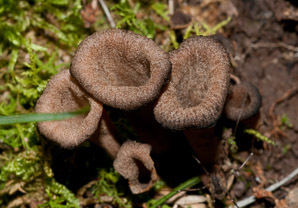 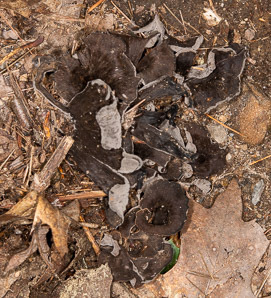 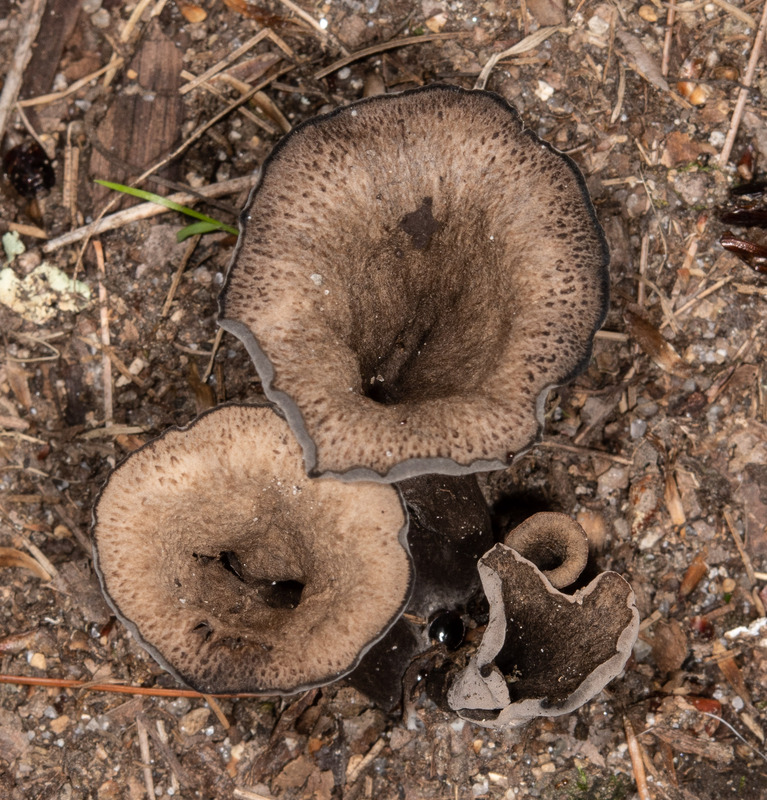 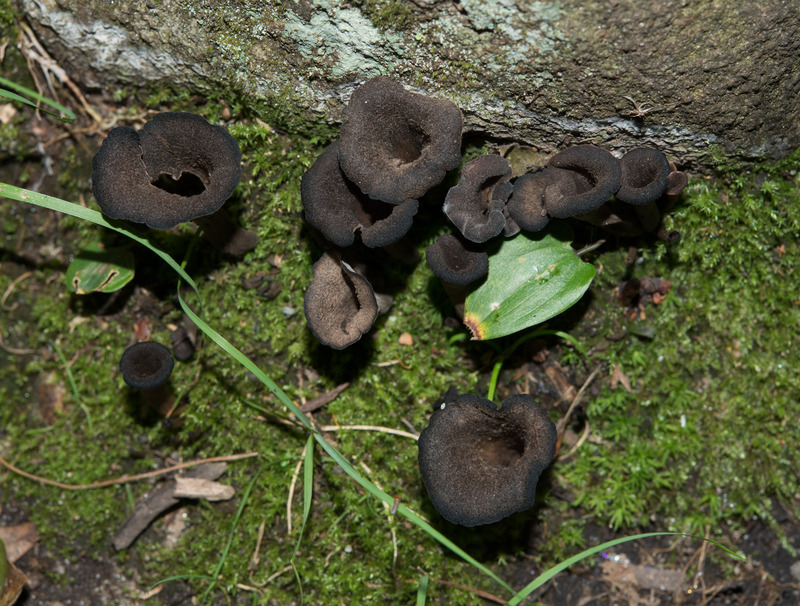 Black trumpets used to have a nearly identical twin, Craterellus fallax, and a lighter-brown near twin, Craterellus konradii, but recent DNA studies have confirmed that these are all the same species. 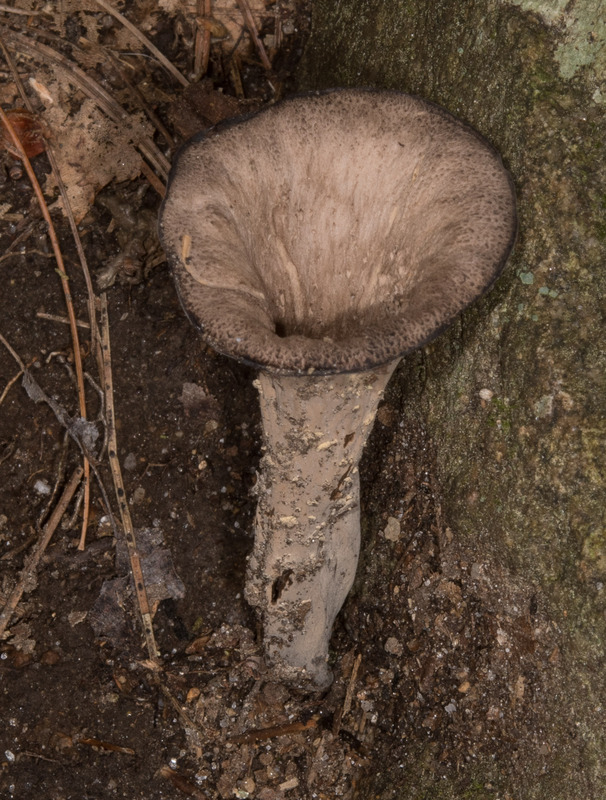 Spore prints may be whitish, pale yellow, or pink. 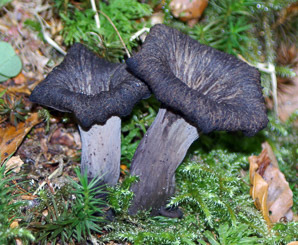 Black trumpets are found in the woods, under oak, tanoak, manzanita, madrone, or huckleberry, usually nestled among mosses. 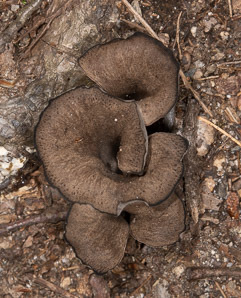 Sometimes they’re practically invisible. 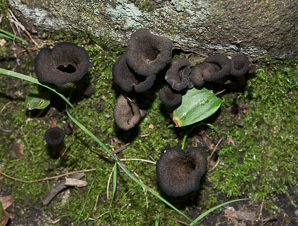 I first encountered them in Ellen Zachos’ rural Pennsylvania back yard (downanddirtygardening.com). 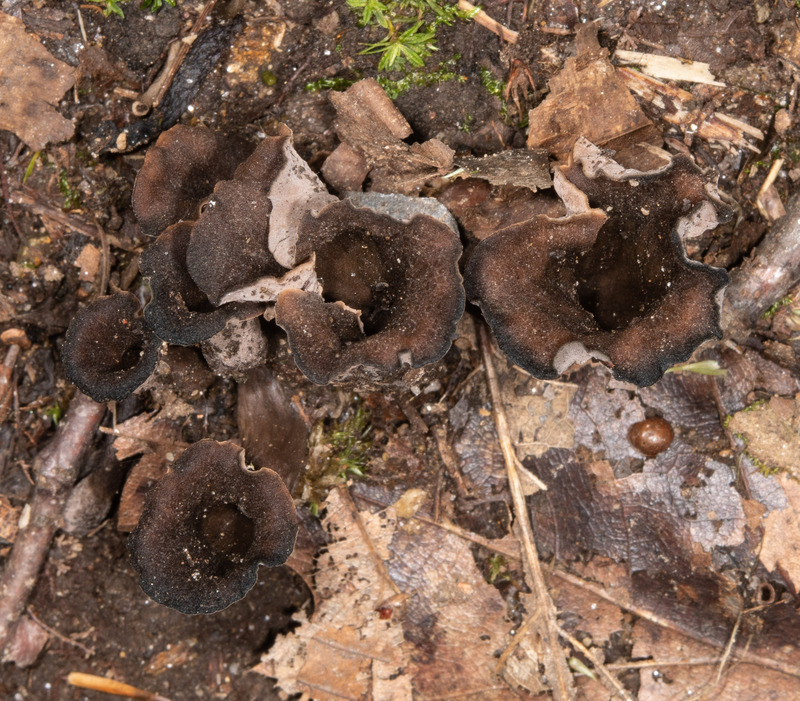 I was bewildered when she pointed them out. 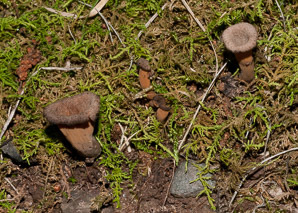 “Where are they?” “You’re standing on them.” These were only about a half inch tall, though she later wrote that they subsequently became much larger. Edibility: Black trumpets are truly delicious, among the most prized finds of mushroom hunters. 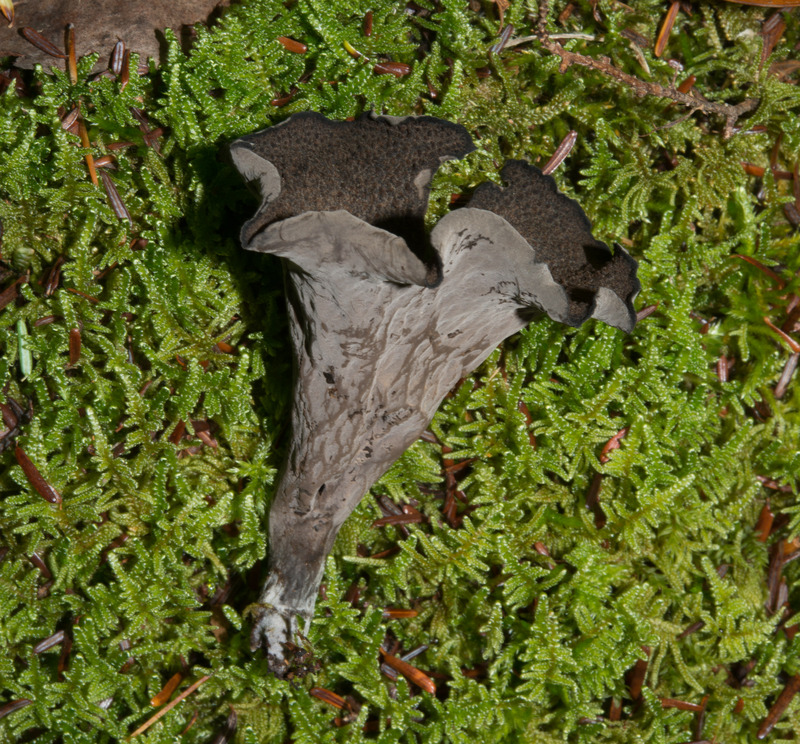 One common name for this fungus is trumpets du mort (trumpets of death), but this is based on appearance, not edibility. Craterellus cornucopioides description by Thomas H. Kent, last updated 12 Oct 2018.